A psychological, behavioral, and trading response to the market price after a trade has been entered. Market Biofeedback involves two distinct domains, The first is how the market reacts (price action) after you enter your trade, and the second is how you react to the price action in the market after you enter your trade. Both parts of the Market Biofeedback equation are needed for you to get a clear picture of what you are learning, and more importantly, what you should learn, from your trading experiences. You should learn from the price action the market offers after you enter a trade. You should also learn from your reaction to the market after you enter a trade. 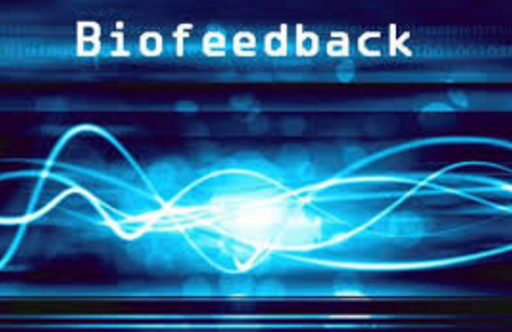 Even if you do not consciously intend to learn from Market Biofeedback, it is important for you to recognize that Market Biofeedback will yield all your important trading decisions. How you approach your trading, which trading systems you employ, whether you give up on your trading or go on to a long and successful trading career, all these things are determined by Market Biofeedback. Most traders allow Market Biofeedback to completely dictate their trading approach, even without realizing this is happening. For example, some traders start out trading the five-minute charts and then slowly gravitate toward longer timeframes, such as the four-hour or daily charts. Why do these traders do this? The answer is Market Biofeedback. Other traders, after several losing trades, will give up on a trading system and search for a new one. This change in trading strategy is, once again, due to Market Biofeedback. Other traders may trade the exact same trading system and will experience seven losing trades in succession and hold steady, knowing that the current drawdown is simply an aberration. Market Biofeedback is the difference between the traders who give up on a trading system and look for a new strategy and those traders who maintain confidence despite the losing streak. How you react and respond to a drawdown, to a windfall of pips, or something in between is exceptionally valuable information. The easiest way to see Market Biofeedback is to record your thoughts as you trade. You can record your voice before, during, and after a trade. You can take screenshots of the trade before, during, and after. You may also record video of the trade before, during, and after with a desktop-computer recording software. Where has the market moved since I entered my trade? If I looked at the market now, would I take the same trade? How do I feel about my trade? What do I like about this trade now? What do I dislike about this trade now? On a scale of 1 (poor decision) to 10 (great decision), where would I rank this trade now? If I were not in a trade now, would I take the opposite trade? and eventually control your trading behaviors. This will allow you to take a big step towards consistent profits.